ATHENS — Invasive species, plants or animals that find their way to new places they don’t belong and cause economic, environmental or ecological damage, have wreaked havoc throughout the U.S. A couple of well-known examples are the lamprey invasion of the Great Lakes and everybody’s favorite in Texas, the fire ant. Texas is home to a number of aquatic invasive species. Two species in particular are at the top of the most-wanted list: zebra mussels and giant salvinia. 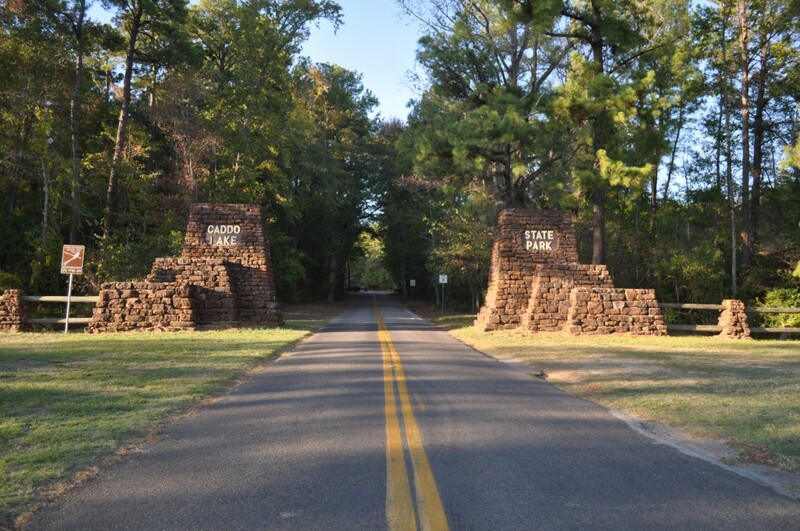 Zebra mussels are small, less than 1 ½ inches long as adults, and currently exist in Lake Texoma (on the Red River of the Texas/Oklahoma border) and in West Prong Sister Grove Creek above Lake Lavon. Zebra mussels hitchhike their way from lake to lake on boats and boat trailers. Zebra mussels, once they invade, attach themselves to almost any underwater object and quickly form large colonies on rocks, boat hulls, boat docks, pipes or even your trotline. They can make water recreation dangerous because of their razor-sharp edges, harm boats and motors, damage public-water intake structures and alter aquatic ecosystems to the detriment of native species and sport fish. Giant salvinia, first found in Texas in 1997, is a free-floating fern that can double in size in just a few days and can form mats up to three feet thick. It can take over an entire cove in a matter of weeks, choking out all aquatic life below its thick mats and making boating, swimming or fishing impossible. One way to curb the spread of these destructive hitchhikers is to clean, drain and dry boats and trailers after recreating on any Texas water body known to have aquatic invasive species. (Hydrilla, the only known aquatic invasive in the Big Country, is found at Lakes O. H. Ivie and Hubbard Creek). First, CLEAN all debris and plant material from the boat and trailer. 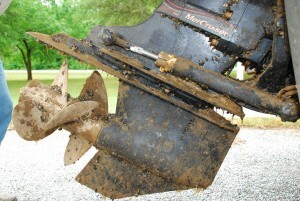 Second, DRAIN all water from the boat, engine, livewells and bait buckets. Third, let the boat and trailer DRY for at least a week before using the boat in a non-infested water body. If your boat has invasive species on it or if you don’t have time to let it sit out and dry for at least a week, wash it using a high pressure washer with hot (140 degree F), soapy water. No Big Country water body has either zebra mussels or giant salvinia. Let’s keep it that way. For more information on Texas invasive species, go to www.texasinvasives.org. 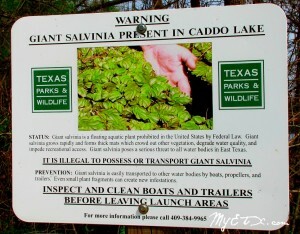 You can also visit YouTube on the internet and search “don’t let invasives take over texas lakes” or, for a humorous public service announcement, search “giant salvinia PSA texas parks and wildlife.” These videos are also on our Facebook page (http://www.facebook.com/tpwdifabilene). Thanks for the informative stuff about Zebra Mussels. This species attach themselves to man-made and organic objects with a help of multi-threaded organ called a byssus. It negatively affects the Eco-system.